Wellllll…. 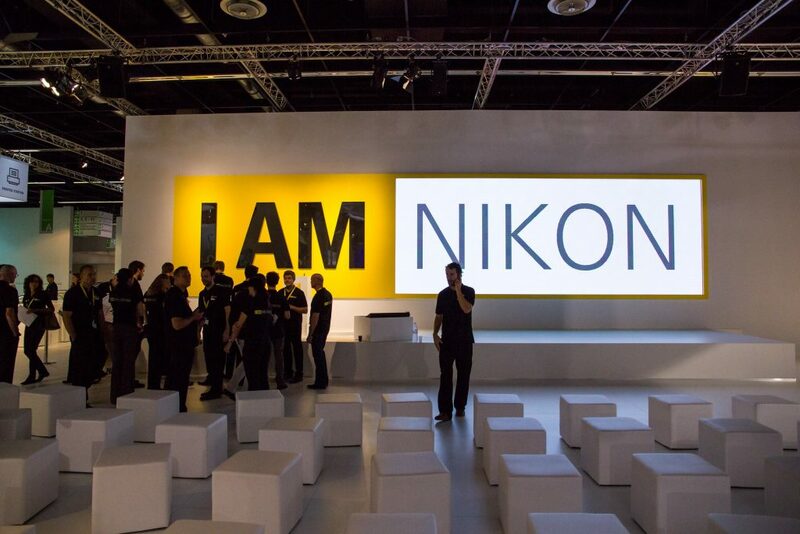 that isn’t exactly what the Nikon spokesperson said, but it is a close enough paraphrasing! Not only is this offensive to many of their customer base, it is also dumb of Nikon to ignore this growth opportunity for them. What the hell Nikon!!! This is madness. In a world in which the market share for dedicated stills cameras is massively declining each & every year, Nikon can not survive by focusing on only 1 or 2 niches, they need a broader platform to support themselves. The video/film world is an obvious & natural next step for them. We’ve always been wondering why Nikon, that has no Cinema line to protect, literally resists to offer pro video features. and now, in this DPR interview, I can see why. They fear the pro video features confuse their conservative still shooter user base! Really unbelievable! Yea, maybe they’re right, many of their customers have no clue what video is, let alone stuff like log profile, focus peaking, color sampling, codecs, LUTs, grading,… and even if they need to record a short clip they want it to be just Start/Stop operation. But how on earth this can be justifiable excuse to not delivering features serious video shooters are asking for years? Just add a dedicated menu, or charge for Premium Firmware if you wish, whatever. Why it should be a “big problem” for a company that brought the video to the world of DSLR? What many do not realise is Nikon are ahead of Canon when it comes to DSLRs vor video (if you focus on only comparing their stock DSLR bodies, and ignore Canon’s Cinema line up as they’re not DSLRs), but the gain in switching brands is not really large enough for everyone (it is for some though) to make it worth switching. Because people’s very large investment in lenses (and other brand specific accessories, such as batteries and flashes) makes it a considerable expense (in time & money) to switch brands. Thus people tend to be stick with staying with the same brand even if the improvements are only quite small each time. As if you’re going to switch away from Canon…. why not just go to Sony or Panasonic instead? That is Nikon’s problem in attracting video shooters away from Canon, they can’t just moderately beat Canon in the video world by little bits (like they have with the D5200, D750, D500, etc). Especially not while they’re stilling lacking a pathway up from DSLRs for video shooters. Many many many of the thousands upon thousands of Canon DSLR video shooters moved on up to using a Canon C100 (and of course many then moved on up to the C300 after that, and a few even to the C500. Thus the huge Canon DSLR base of video shooters acted as a feeder network into their Cinema range, which in turn then encouraged more people to start out with a Canon DSLR for filming with). Nikon needs to also bring out a higher end above that is focused on video to complement their video DSLRs (such as the Canon C100/C300 and Sony FS5/FS7 does). But when “Unlock Pro Video Settings” is set to “Off” all that complexity is hidden away, and the user is presented with a simple interface just like Nikon has now for video. This is not a new concept in UI, this is often implemented on many devices already. Previous PostConfirmed: confidential Panasonic GH5 prototype exists, is being tested by users outside of Panasonic. I’m sorry ,I use a Nikon D810 ,because I like to take pictures ! If I ever wanted to take video pictures I would buy a video camera ! I don’t see what the big deal is…still photography is a whole different ball game compared to video. Why should this be offensive to anyone? Drama. Iain & Robert, this matters because there is a massive *MASSIVE* community of people who use DSLRs/mirrorless for filming with. Because with them you can achieve a look and level of production that would otherwise cost many many many times more. When the Nikon D90 came out and was the first DSLR with video capabilities (and later on the Canon 5D mk2, and Panasonic GH1, and many others) , this kicked off a massive *revolution* in filmmaking. Thus is a great pity Nikon is not recognizing and capitalizing on the potential it started off with the Nikon D90 (although the D800/D5200/D750/D500/etc are all a significant improvement in video capabilities over the initial groundbreaking D90, it still falls far far short of what it could be). To me, a Nikon D800 user invested in a system with interchangeable lens, I find it hard to understand what is the advantage of buying a camera with a fixed lens, unless he is selling the D800 and buying DL for the sake of simplicity. Extreme compact size, would have been the main big (ha! Pun) advantage of the Nikon DL series. Sadly we’ll never get to see them :-/ Wish Nikon hadn’t cancelled them! So many people were looking forward to them.